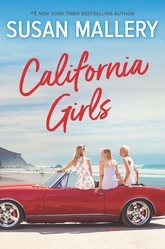 Three sisters wrestle with life, love and happiness as they come together to downsize from the family home to a beach condo. Finola is a popular tv personality whose private life goes public when her husband's infidelities hit the media. Zennie is sick of well-intentioned friends setting her up. She loves her job as a surgical RN, has a fulfilling social life and a close relationship with her sisters. Why does everyone think she needs to be married too? Kendra was always the "good" sister. Life isn't terribly exciting, but it's stable. But when her fiance Glen sends his annoying bad-boy brother to break off the wedding with just two weeks to go, being the good girl suddenly seems like a waste of time.